Thus Spake Shri Balu Mama (Swamigal) series is a collection of narrations by Shri Balu Mama (Swamigal)… Let us drench in the ocean of divine experiences of this Shiva Ghana Shri Balu Mama (Swamigal) who served Saksath Parameswara Periyava for decades and decades. Shri Balu Mama (Swamigal) narrates incidents where Our Varuna Periyava drenched a droughted places (Hagari, Vasantakrishnapuram etc) with historic rains. 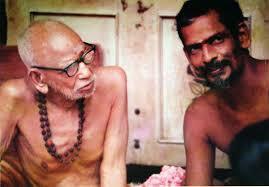 It only meant that it is for ordinary people like us, Periyava is here! But for Sri Balu Swamigal, how great it is for HIM to be so humble & openly glorifying His GurunAthaL at the cost of his own name or fame… A striking similarity of the devotee/ sEvaka of Sri MahaPeriyava! Prayers to bless us with at least a fraction of that GuruBhakthi…. Sri Maha Periyava saranam. 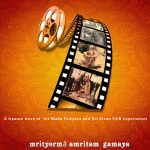 Balu Mama’s experience and all the video clips that are presented here should be made into DVDs and made available to the devotees. This is a very humble request from a devotee who did not have the “praradhwa” karma to interact with the walking Kamakshi while he was on this plane. Please ,the great souls who had the blessings of the Divine to interact with him while he was here are themselves getting old. This needs to be done before it is too late. I for one am willing to do what ever that is within my ability, with His blessing, to see this become realty.